Heidi has spent her life perfecting every aspect of what she does, from flawlessly timed wedding ceremonies to dazzling solo performances and inspirational lessons. Please feel free to dream as you plan your wedding, anniversary, dinner party, engagement, or other special occasion! 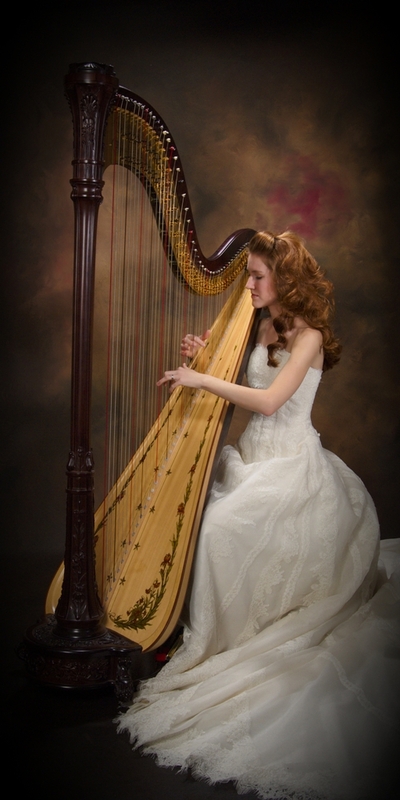 With harp accompaniment, your day will be a beautiful event that is easy to plan and wonderful to enjoy for you and your guests. A harp can really play anything... as long as the harpist is up to it! From original and classical works to the Beach Boys or Madonna, "Stairway to Heaven" or "Fly Me to the Moon", it is truly my pleasure to make the music at your event as individual as your musical tastes. For suggestions and favorites, browse the Musical Selection page!